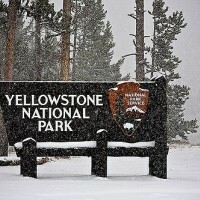 This full-day Snowcoach Yellowstone tour is available December 15th through March 15th. 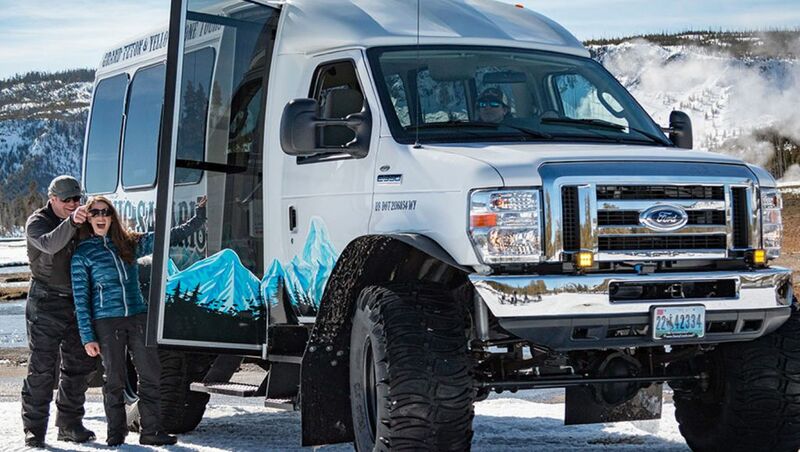 Scenic Safari's snowcoach provides a spacious, comfortable way to see the winter wildlife and snow-covered features of Yellowstone in the winter. 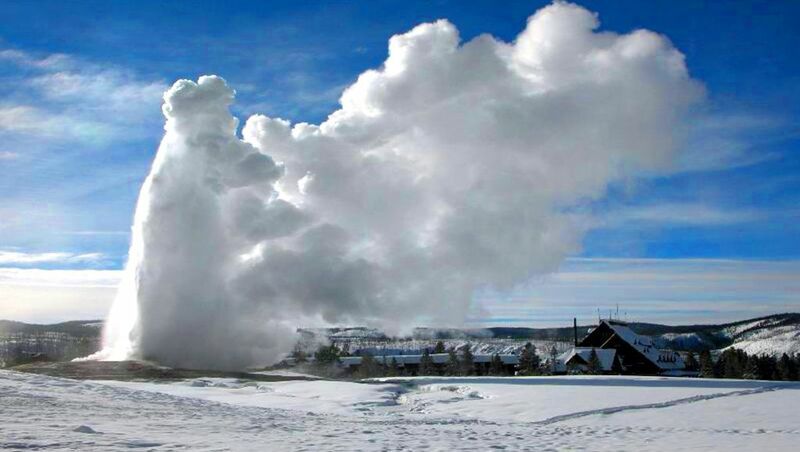 This tour will take you to the Old Faithful Geyser making several stops along the way to learn about the Park's history, view thermal features, and take pictures. Enjoy lunch at Old Faithful. Bring along winter clothing, coat, hat, gloves, appropriate shoes, and camera. Your guide will pick up at hotels between 6:00am and 7:00am. 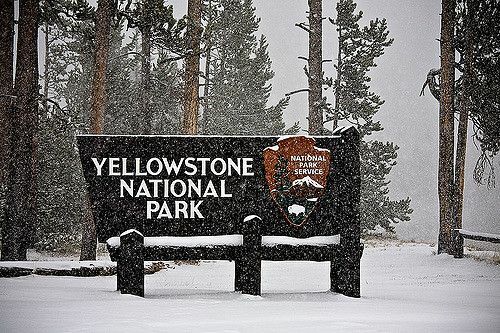 We will then drive up to the South entrance of Yellowstone, 60 miles North of town, where you will transfer from the shuttle van into the snowcoach. 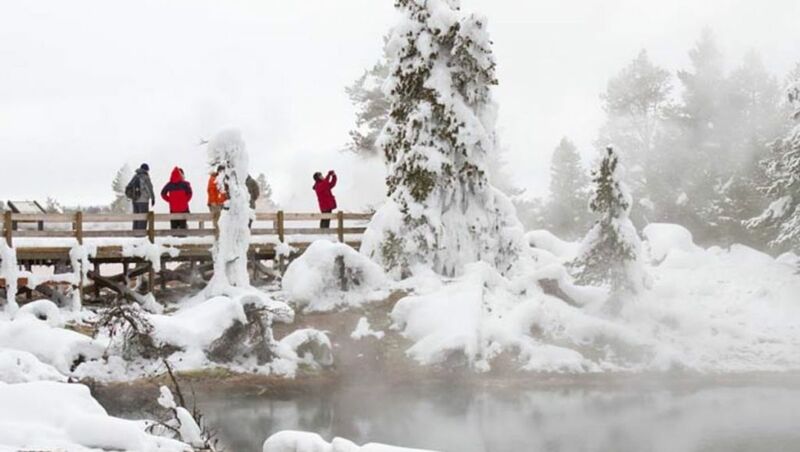 You'll travel the 45 miles (one-way) of groomed trail to Old Faithful, making several stops along the way, with opportunities to get out and walk around. 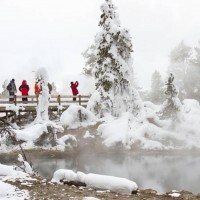 Points of interest may include Moose Falls, Lewis Canyon, Lewis Falls, and West Thumb Geyser Basin. 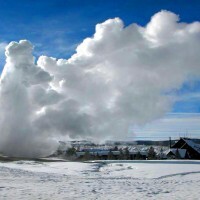 You'll see Old Faithful erupt. You'll return to your lodging between 6:00pm and 7:00pm.